After my first detox I said ‘never again’…..I did the Jason Vale detox diet and it was hard! I felt faint, very hungry and was so close to giving up most hours. I’d done a detox – I basically never had to do another one ever again. Well that is until someone reminds you that you’re going on holiday soon! With a girlie trip to Ibiza looming I knew I wanted to feel healthier and a little lighter before I went, even if I just put it all back on once I got there!! 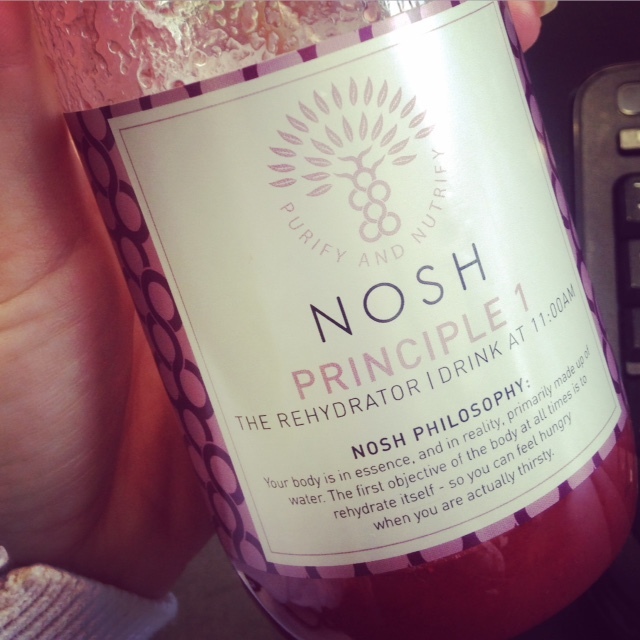 So when Nosh Detoxapproached me – giving me the perfect excuse to indulge in a fuss free 3 day detox before my holiday – well who was I to say no? Before you do a detox you feel sort of smug that for the next three days you’ll be feeling healthier and lighter than most people around you. Then it starts. And you sort of keep that smugness but it kind of fades too, while you are welcoming thoughts like ‘why the hell did I sign up to this?’ ‘I don’t want a bloody bikini body anyway’, along with some more expletive thoughts that I couldn’t possibly include here. So just a warning – its bloody hard! But worth it too…. I had signed up to do Nosh’s original Juice fast – which meant I drunk one lemon and ginger drink in the morning and then 4 juices throughout the day – a mixture of fruit based ones and vegetables. And I definitely need this, not only did I have a holiday coming up, but August had been full of BBQ’s, parties and weekends away. So day 1 and I was raring to go, I felt a little hungry by lunch time, but knew I was just thirsty so gulped down some water and kept on going. And I think the main thing with a detox for me is to keep busy – I eat and snack when I’m bored so if I’m just at home twiddling my thumbs I’m probably going to reach for the biscuits. By the evening I was pretty hungry and my stomach was telling me to eat by giving me constant grumbles, but instead of going home I did some light form of exercise (in the shape of Yoga) to keep my mind off eating and focused on the detox. However by lunch time the next day I was bored, hungry and wondering when the torture would end. Why was I doing this anyway? I kept saying to myself while I drooled over my colleagues lunches – unaware that I wanted to fight them for the last biscuit they were just about to eat! But I got through it and kept going…. And although I did enjoy the juices, and was thankful that I didn’t have to spend hours making them, I felt that they could have been mixed up a bit. I’m not the kind of person who eats or drinks the same thing every day so it got slightly repetitive when you were drinking the same ones everyday, so by the third day I was finding it hard to drink the whole thing – I think one took me over 2 hours to drink! However by day 3 (Wednesday morning) I woke up feeling pretty good, I’d slept well and felt refreshed, not even craving my normal morning coffee and by lunch time I started to get little highs – which I only normally experience when I’ve drunk coffee or wine! By Wednesday evening I was so happy that I could eat again the next day that I was in bed by 9, ready to wake up to normal food. They do tell you to go easy on the first morning however as your body isn’t ready for it quite yet and still detoxing – so even though I was excited to eat normally I opted for a banana and another smoothie to get me through until my lunch time Pret salad. And of course you want to know if I lost weight for my holiday? Well of course I did – I lost a couple of pounds and felt so much more confident in my bikini on the beach….it’s just a shame I drunk my body weight in booze while I was there and had to go straight back to square one when I came home…..maybe I’ll have to make this detoxing a regular thing!! 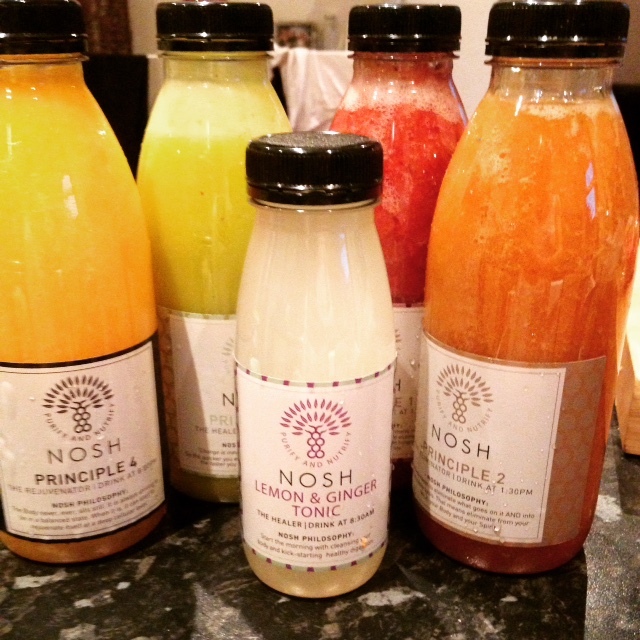 If you fancy trying out one of Nosh’s detox’s you can get more info here.